EVETR can be used for invasive and non-invasive ventilation for emergency treatment and transport and is suitable for long-term ventilation. Various versions of the respirator can be used for acute care at the emergency site and for ground, water or air transportation. EVETR is suitable for the ventilation of infants, children and adults with body weights ranging from 500g to 200kg. 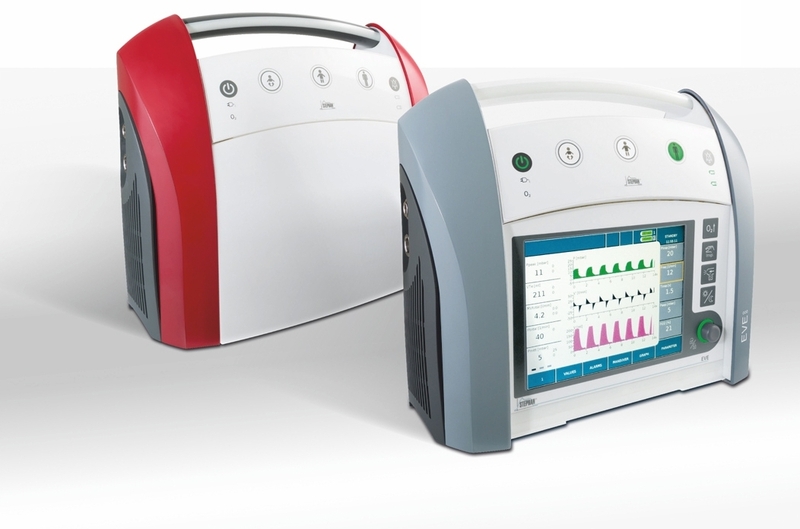 EVEIN can be used for invasive and non-invasive ventilation for intensive care medicine and is suitable for long-term ventilation. EVEIN serves as an intensive respirator and can be used for intrahospital transport. EVEIN is suitable for the ventilation of premature infants, children and adults with body weights ranging from 500g to 200kg. With the projects we have realized with DMTpe to date, we have always been completely satisfied with the goals we have achieved. We arrived at the results systematically and professionally and they allowed us to expand our product range in a way that was always geared to the customers' requirements.